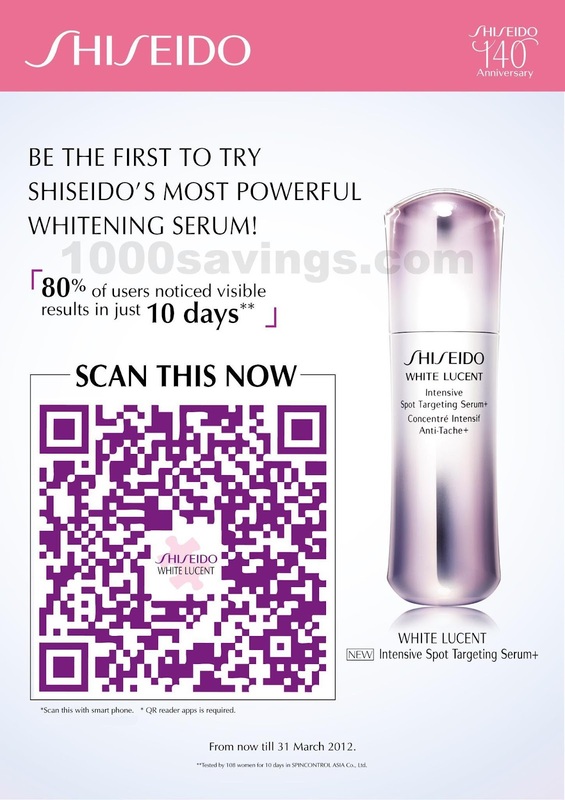 Shiseido New White Lucent Intensive Spot Targeting Serum+ now with new technology that crushes dark spots away in just 10 days! 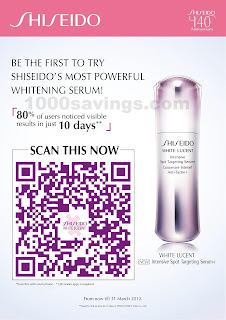 How to redeem Shiseido New White Lucent Intensive Spot Targeting Serum+ sample? Simply scan this QR code with your Smartphone (QR reader is required) and present the code at any Shiseido counter nationwide! You will entitle for a sample of this new serum! Limited quantities available, so hurry!